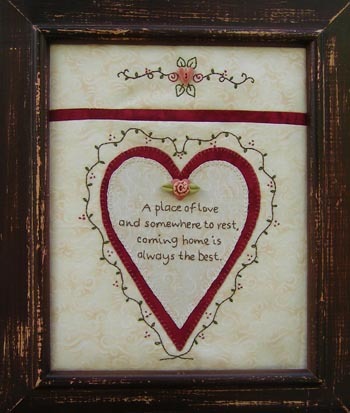 Framed stitchery with some applique. Pattern includes two handmade buttons. When completed suits frame size 8" x 10". 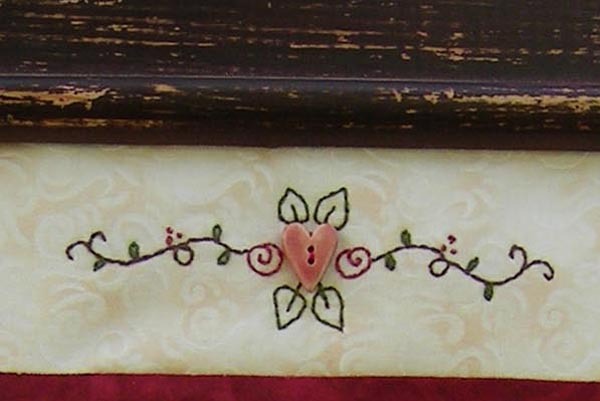 Pattern includes diagram for tracing design and instructions. Pattern does not include frame, fabric, cottons etc.